We’d love your help. 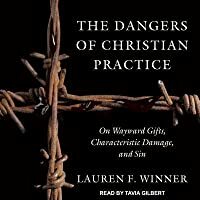 Let us know what’s wrong with this preview of The Dangers of Christian Practice by Lauren F. Winner. Sometimes, beloved and treasured Christian practices go horrifyingly wrong, extending violence rather than promoting its healing. In this bracing book, Lauren Winner provocatively challenges the assumption that the church possesses a set of immaculate practices that will definitionally train Christians in virtue and that can’t be answerable to their histories. Is there, for instance, an account of prayer that has anything useful to say about a slave‑owning woman’s praying for her slaves’ obedience? Is there a robustly theological account of the Eucharist that connects the Eucharist’s goods to the sacrament’s central role in medieval Christian murder of Jews? To ask other readers questions about The Dangers of Christian Practice, please sign up. I like her writing. This looks very different from her books. Is that true? how so? Takeaway: Spiritual practices are not magic bullets. Over the past few years I have become a disciple of spiritual practices. I have a spiritual director. I regularly use the Book of Common Prayer. I really do think that the eucharist and baptism should be central to worship. This makes me the target audience of Lauren Winner’s new book, the Dangers of Christian Practice. The rough thesis is that spiritual practices, while good, have weaknesses that need to be paid attention to. Just like the chu Takeaway: Spiritual practices are not magic bullets. The rough thesis is that spiritual practices, while good, have weaknesses that need to be paid attention to. Just like the church is made up of human beings that are sinful and make every church community less than perfect, good practices that are commanded by God and advocated throughout history also have some weaknesses. The easiest illustration and the best chapters is about prayer. Keziah Goodwin Hopkins Brevard is the main illustration. She is a 57 year old widowed owner of two plantations and over 200 slaves. She left extensive journals both of her thoughts and of her prayers as fodder for Winner’s discussion. As Winner recounts, Brevard prays for pliant slaves, she prays for the death of slaves that lie to her, she prays that Heaven will have a separate location for abolitionists and slaves away from her. (Note the political and rhetorical implications of a separate heaven.) She prays to be a good master and for a heart open to God. Winner notes that the subjects of our prayers have long been a concern for Christians. Aquinas and others cited have thought and written about praying for things that are sinful or out of distorted desires. But the very nature of prayer is part of the problem. It is not just intercessory prayer, but teaching prayer to others and how public prayer is often not solely directed at God. Prayer can easily become gossip, self justifying or deluded. But even out of bad prayer there can often be good aspects. Winner gives illustrations of the anthologies of prayer that line her shelves. None of them are anthologies of bad or self seeking prayers that could help us understand how our own prayers may be come bad or self seeking. Instead prayer is presented and taught as an almost universal good. The other two practices discussed in the Dangers of Christian Practice are the problems of the eucharist being held in too high of a value (the illustration is riots caused by accused desecration of the host) and the problems of antisemitism and supersessionism, and baptism and the problems of the privatization of baptism through private christening ceremonies that were held in the home in the 19th and early 20th century as well as the way that baptism can alienate the subject from their family or community as well as drawing them into the family of Christ. This is a very brief overview. There are lots of side tracks as well as a good introduction to the concept and a concluding chapter that challenges the ideas of spiritual practices especially as it has arisen out of post-liberal theology. The ideas behind Dangers of Christian Practice are very helpful. One that in someways could be an article or a much larger book and still be helpful. I was very skeptical about the concept of the book and probably would not have picked it up without reading James KA Smith’s very positive review at Christian Century. However, despite my skepticism, I this was well worth reading and a good reminder to not place too much weight or responsibility on any aspect of discipleship, moral formation, or model of church. All models of church and modes of discipleship have weaknesses. All can be corrupted and tainted. But as Winner rightly notes in the last chapter, they are what we have. Because they are not perfect does not mean that we should abandon them completely. Winner is not advocating that. Instead she is advocating more humility and understanding of the practices so that we can minimize the harm that misusing spiritual practices can bring. I listened to the Dangers of Christian Practice on audiobook. It was not my favorite narration, but it was acceptable. I kept checking my player because it felt like it was running slightly too fast. Like maybe the narrator read it too slow, and the editor sped the narration up slightly digitally by cutting some of the pauses and space between the words. But for me, it was far cheaper on audiobook than on kindle or hardcover. This is an important contribution to the discussion of Christian practices that deserves serious attention. Winner's careful historical work describing and analyzing the ways some beloved Christian practices (Eucharist, petitionary prayer, baptism) can be badly deformed is an important corrective to much theological and devotional work that treats Christian practices as unalloyed goods. The work draws richly on Winner's scholarly and pastoral sensitivities in fruitful ways. As with the best of co This is an important contribution to the discussion of Christian practices that deserves serious attention. Winner's careful historical work describing and analyzing the ways some beloved Christian practices (Eucharist, petitionary prayer, baptism) can be badly deformed is an important corrective to much theological and devotional work that treats Christian practices as unalloyed goods. The work draws richly on Winner's scholarly and pastoral sensitivities in fruitful ways. As with the best of constructive theology, this account is generative of further thought and exploration. I am still mulling Winner's core contention that the deformations she identifies are characteristic of the practices themselves, rather than results of external factors or simply the sinfulness of the practitioners. One line of questioning raised in my mind: what might be the characteristic deformation(s) of believer's baptism by immersion, and are those deformations somehow isomorphic to the deformations of domestic infant baptism? Might divergent traditions of specific Christian practices speak to each other in salutary ways about how to be alert to and perhaps ameliorate the deformations peculiar to the particular way a practice is carried out in a given time, place, and tradition? 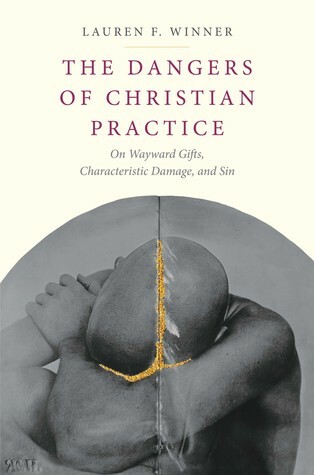 I hope that other participants in the Christian practices discussion will rise to the challenge of this book, by imitating Winner in providing robust, historically detailed investigations of the ways that particular Christian practices can go wrong; by formulating less facile descriptions of the significance and power of Christian practices in general; and by arguing back at her theological anthropology in illuminating ways. I'm still mulling over whether I completely agree with Winner's claims, but I believe this is an important and necessary challenge to those theologians, ethicists, and liturgists that have treated worship and Christian practices as goods that work ex opere operato to form people in the Christian virtues. I really appreciated Winner's corrective perspective. I would have appreciated more philosophical reflection and insight into changing our approach to the rhetoric of practices in the church. I think that Winner's challenge will be helpful to Christian educators thinking about the "characteristic damage" of even the best teaching practices - I know that I will be reflecting on this for some time. An engaging book on the historical damages and sinful dangers that are packaged with Christian practices. A good corrective to sacramental optimists like Hauerwas and co., but Winner risks ontologizing sin as a force that somehow has power OVER sacraments.